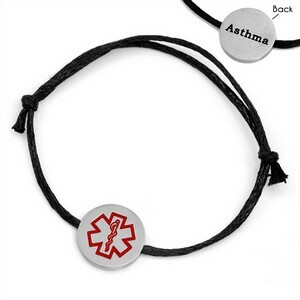 Looking for a simple asthma bracelet? This design is demure but effective. 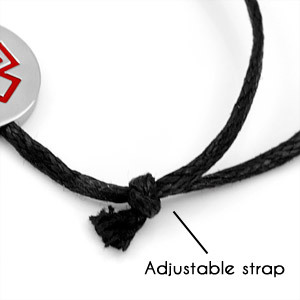 It is made of cotton and 316L stainless steel and can be worn by both men and women.